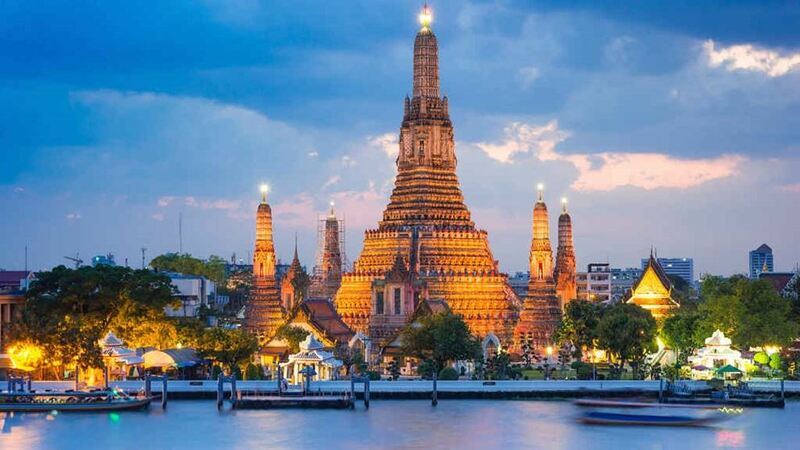 Thailand is considered the leading country in Southeast Asia in the field of tourism. It is a cheap country to spend holiday in, it has many beautiful natural and cultural attractions, and it has many great foods. How to plan a trip to Thailand? Here are factors to consider if you want to enjoy a nice trip in this scenic country. Flights to Thailand are available from nearly all countries on earth, so air transport that will bright you there should not be a problem. Simply research on the current price ticket to find the most affordable one if you consider flight cost an important matter. What is more important is actually visa. You can get visa immediately after your arrival, but you need to know that the visa is only valid for one month. ASEAN citizens can get this 30-day visa for free. If you plan to visit Thailand over a longer period of time, you should apply for 6-month visa at the embassy in your home country. Knowing how to plan a trip to Thailand means to know all places to visit in this country. Interesting places can be found in every corner of the country, but if you have limited time to explore all of those places, you should focus on a certain region based on your preference. If you love to see animals, go north to join night safari in Chiang Mai and Patara Elephant Farm. If you love beaches, go south to enjoy warm sun and water attractions at Phuket. If you enjoy shopping, you should stay in the central part of the country because Bangkok should be your paradise. You can also visit What Pho Temple and the Grand Palace while you are in the capital city. If you are an adventurer, go northeast to Nakhon Ratchasima where you can enjoy exploring Thailand’s scenic rural areas. Public transportation system in Thailand is great. You should be able to go from A to B very easily. If you want to avoid scam because you are a foreigner, you can simply use online transportation services like Grab because their fare is always honest. Being a popular tourism destination, Thailand offers a complete selection of accommodation for both budget travelers and luxury lovers. How to plan a trip to Thailand on budget? If you are a backpacker, you can stay in a dorm room that costs 100 to 200 Baht ($4 to $8) per night. If you prefer luxury stay, a night at a 4- or 5-star luxury hotel may cost you about 3000 Baht ($100). Now you know why Thailand is a cheap country.